CINCINNATI -- A man was found dead in Winton Hills Monday afternoon. Officers responded to a report of shots fired at about 2:30 p.m. and arrived to find to 37-year-old Michael Chichester dead in a parking lot, Lt. Steve Saunders said. Police closed Winneste Avenue between Dutch Colony and Holland drives for the investigation. Police said they did not have any suspects in custody. 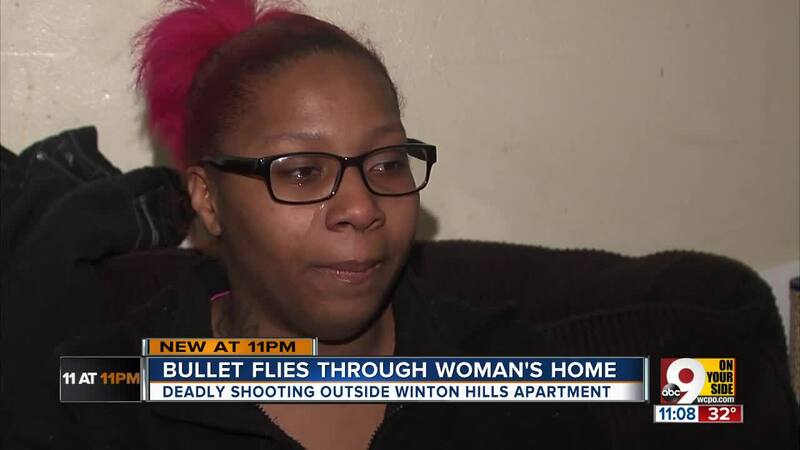 Shanika Jones, who lives nearby, didn’t see the shooter -- but she did narrowly dodge a pair of bullets. Two of the shots fired at the victim shattered her living room window and narrowly missed her 9-month-old baby. "I heard the first gunshot, and my reflex was just to throw her to the floor," Jones said. Both she and the baby were unharmed. Lt. Steve Saunders asked anyone with information about the shooting to call Crime Stoppers at 513-352-3040.